At Adweek’s Women in Media & Sports summit last night, panels of leading women in the industry talked about how we can continue to better advocates for women and underrepresented minorities in the intersectional field of sports and media. Along with more conventional strategies of amplifying women’s voices, the data revolution is allowing us to get much more creative than ever before. Michelle Wilson, co-president at WWE, pointed out that in the last four years our ability to collect data has increased so dramatically that more data was collected in that time period than in the previous 20 years altogether. And while we already know we have a lot more work to do around empowering women in the industry, now we can prove it with hard numbers in our data-fixated society. Providing an example from her own experience, Wilson pointed out how the WWE got onboard early on with digital and social media storytelling and now has over one billion social media followers. Women have always had an ancillary role in the WWE, but social media data was telling the brand that people want to see more women center stage, she explained. Thus, the social media campaign #GiveDivasAChance was launched. Eventually “divas” morphed into “superstars” and women—like Ronda Rousey—became the main event rather than secondary. The kind of data we’re getting and using is also evolving—metrics like TV ratings are being replaced by the amount of time spent, according to Wilson. And the ability to cultivate data directly from consumers in real-time makes it more accurate and helpful, added Carolyn Tisch Blodgett, svp, head of global brand marketing for Peloton. This means of data collection also facilitates authentic community-building, like Peloton’s 100,000-plus member Facebook group, which was created by members. “The community sells more bikes than the company,” Blodgett said. While it’s awesome that data can back up what we’ve long known about the importance of women’s voices, the industry leaders agreed that on a micro-level, women need to continue to find ways to advocate for themselves. These interactions are part of a multi-pronged approach to enacting real change and better representation in society. 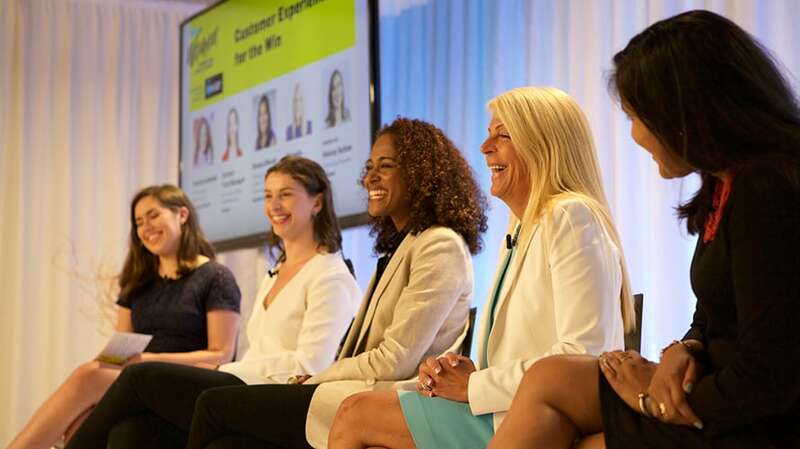 “Women are the fastest growing consumer group,” said Ramya Murali, strategy and analytics leader, consumer businesses at Deloitte Digital. “Advocate for yourself because your opinion is underrepresented and sought after.” Your position in the industry should be leveraged to advocate for others, too. “Use your power to demand diverse candidates,” added Azania Andrews, vp of marketing at Michelob Ultra, Anheuser-Busch InBev.